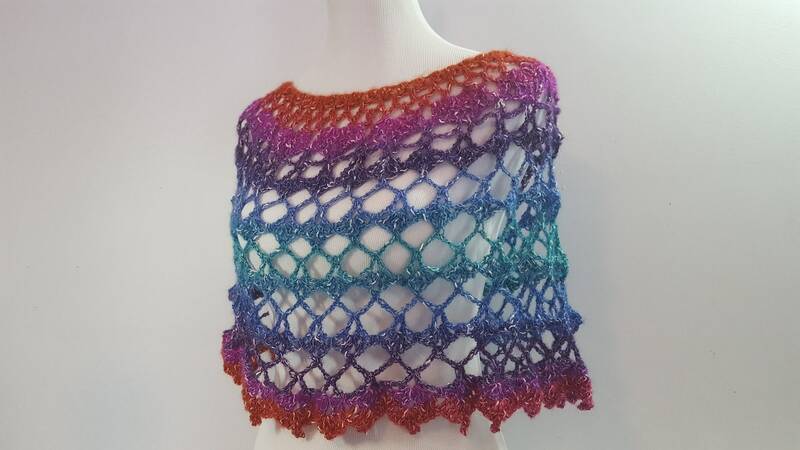 Who doesn't love color? 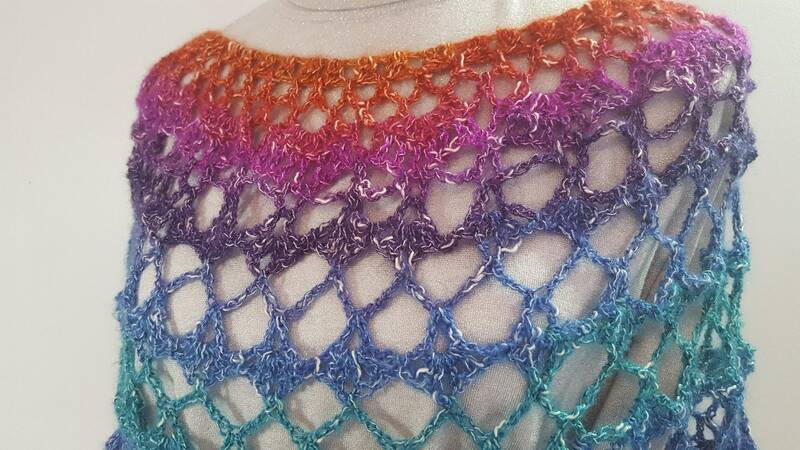 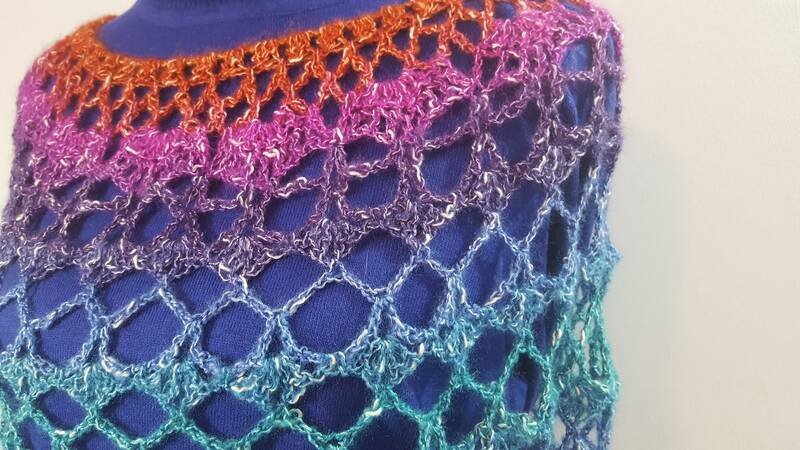 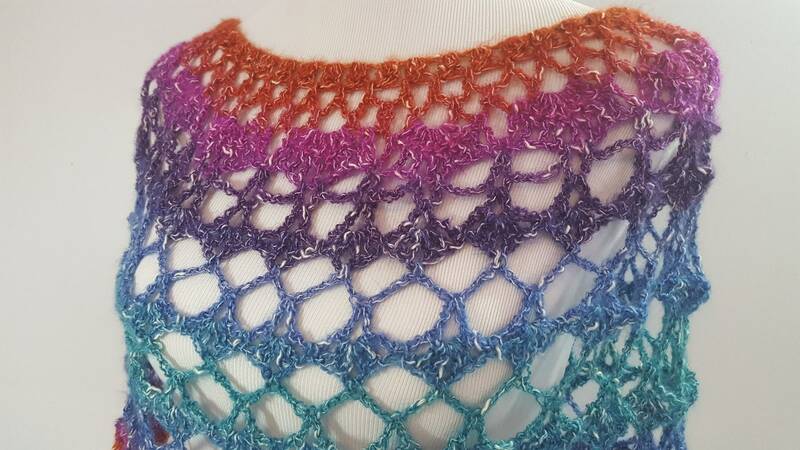 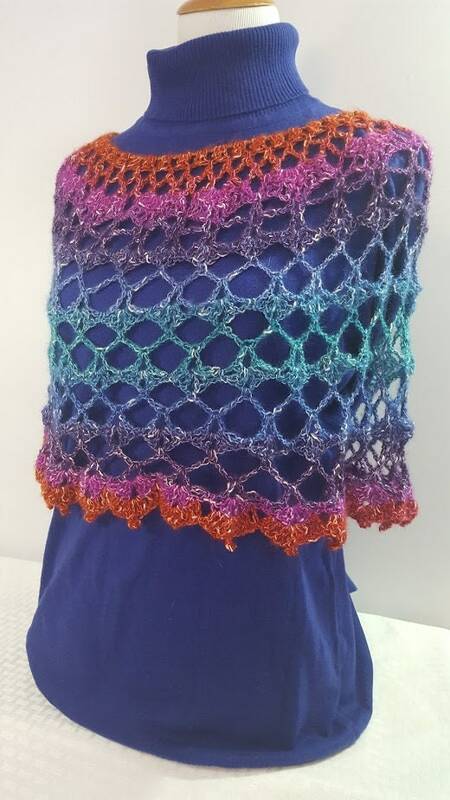 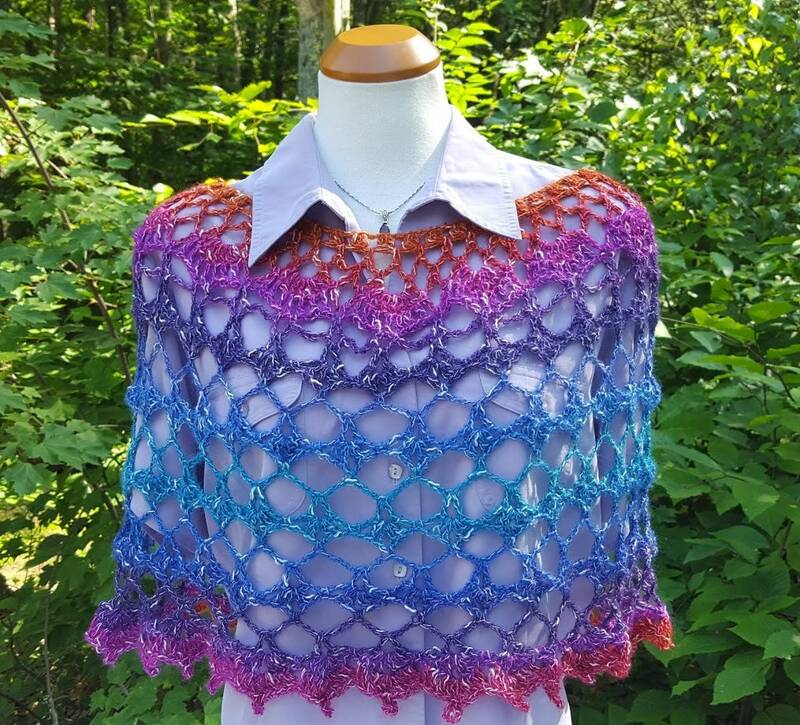 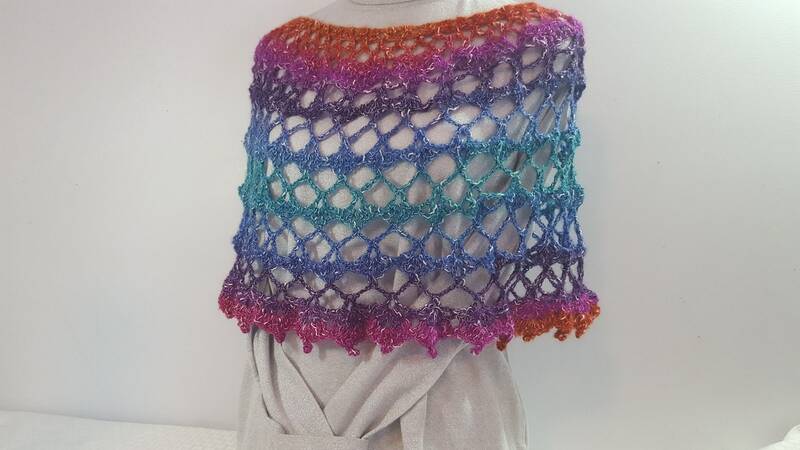 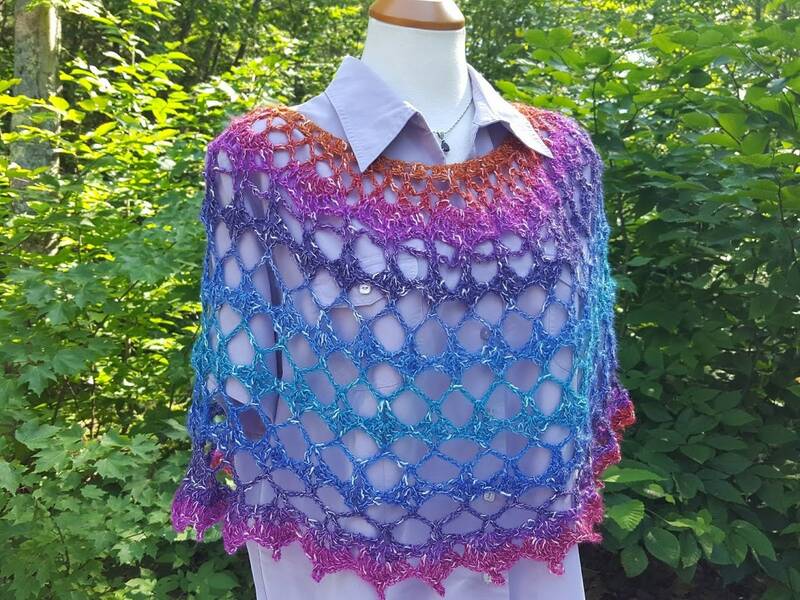 Crocheted in a beautiful open-weave style in shades of lavenders, oranges, reds, pinks, and blues, with bits of sparkle, you can wear this poncho over your favorite blouse or turtleneck. 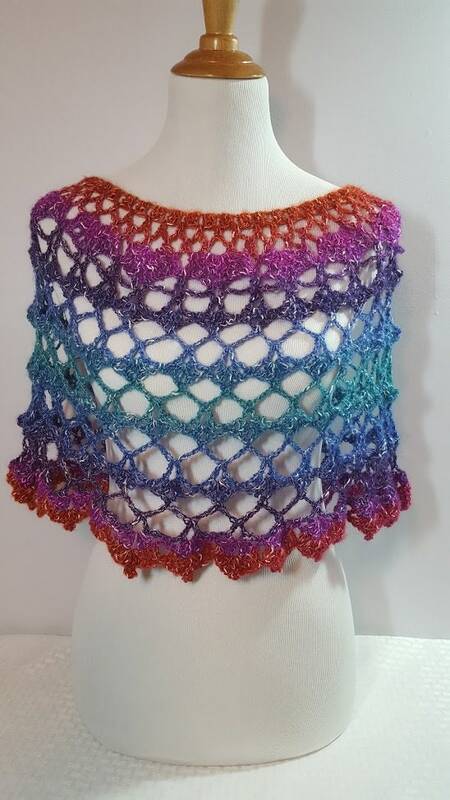 It's so versatile, it can even been worn over a mini skirt or your favorite leggings! 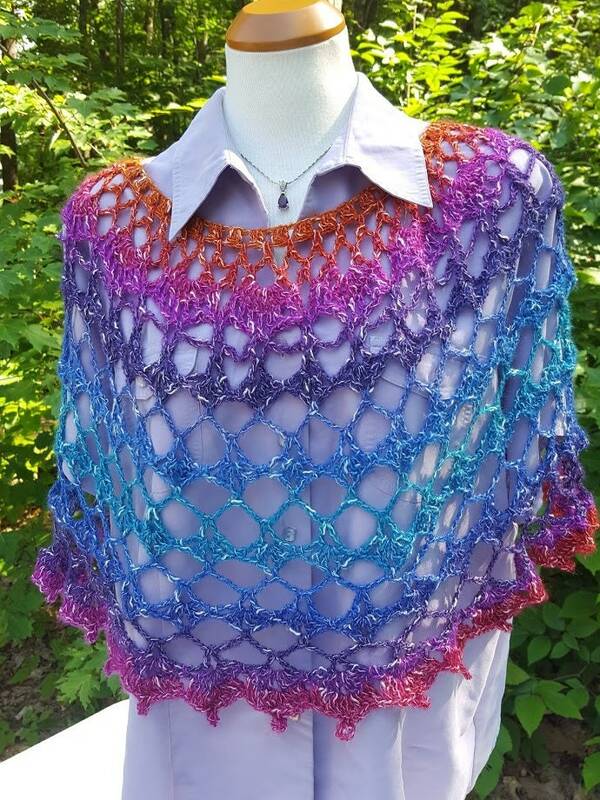 Shown is a size women's sm-med.